It is common to have your dog stung by bees if you live in a garden setting. Dogs are very adventurous, curious and very playful. Depending on the affected area, bee stings can range from being just painful to life-threatening. 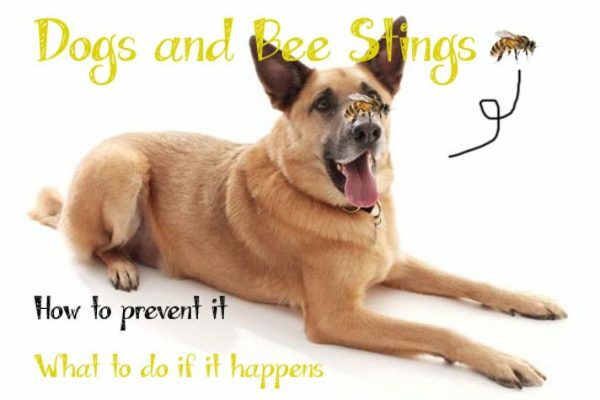 Here is more on what to do in case your dog is stung by bees. Step 3. Apply Bicarbonate Soda Or Meat Tenderizer On The Wound. How to apply bicarbonate soda on a bee sting? Animals are renowned for their playful activities especially dogs who are very curious and adventurous. Dogs enjoy when they chase and run after every moving item using the nose and paws. Most especially animals such as bees, wasps, and hornets which are very protective of their territory and space. The dog’s inquisitiveness to exploit usually puts them in a life threating situation. Bees are defensive and protect themselves by stinging what they perceive as a threat. 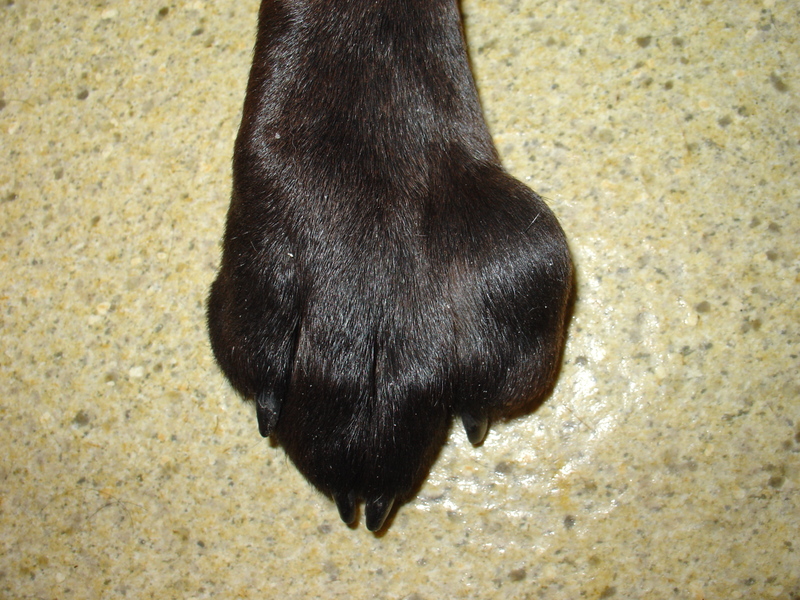 Dogs use their noses and paws to Bee stings on dog paw and noses are very common. This is where the bees usually strike first. The face and the lips can also be stung this result in swelling. The tongue and the dog’s throat can be affected as a result of the dog swallowing the bee. Itchiness of the skin on the affected area. Body swelling especially the stung area. It is often inevitable to train the dog to stay away from the bee presences. 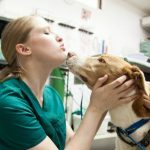 Thus it is important for dog owners to understand first aid techniques that can prevent the loss of life. The first step is usually very important as it helps in reducing the amount of venom the bee has injected the dog. One can do this by using a credit card to scrap over the dog skin surface so as to remove the stinger. Credit cards are more efficient compared to tweezers. Tweezers can tear the dog skin effectively squeezing the venom glands which pumps more poison onto the dog’s skin. 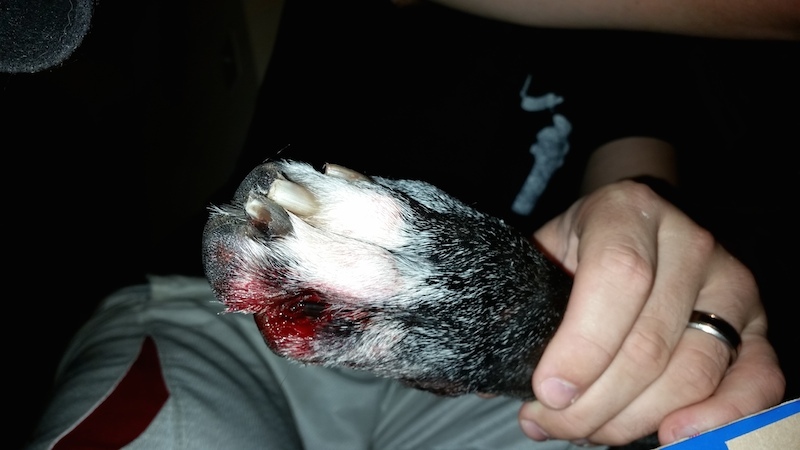 Take precaution while removing the stinger and if the dog starts to be irritated weak or vomits it is important that you seek the services of the vet. After successfully removing the bee sting and the dog is a little bit sore but bright applying ice gently on the affected area while gently massaging is very critical. Alternatively, you can soak a piece of cloth in water and wrap it around the affected area. Ice and water are useful as it aids in reducing swelling of the local tissues and stops any further spread of the poison. Massaging will take off the pain inflicted on the dog’s skin as it freezes the nerves of the skin. Both bicarbonate soda and meat tenderizer as useful in neutralizing the acid of the bee’s poison on the dog skin and faster healing of the wound. Both of this solution are widely used for their disinfectant properties as they reduce the risk of developing a fresh infection on the wound. When baking soda is mixed with water, an endothermic reaction takes place which converts the baking soda into a warm antiseptic. Mix a tenderizer with clean and distilled water to form a paste. Use a dry cotton wool and apply the paste gently while massaging the affected area lightly. Meat tenderizer contains rich sources of essential papain enzyme which breaks down the body tissues and provides a protective gear against the toxic protein which causes body reaction. Leave the paste for roughly 25-30 minutes so as to relieve the pain and clean the wound. Leaving the wound with a meat tenderizer for more than 30 minutes can cause irritation and an allergic reaction. It is important that you do not allow the dog to lick both the paste before you have thoroughly cleaned with as it may cause stomach upset. 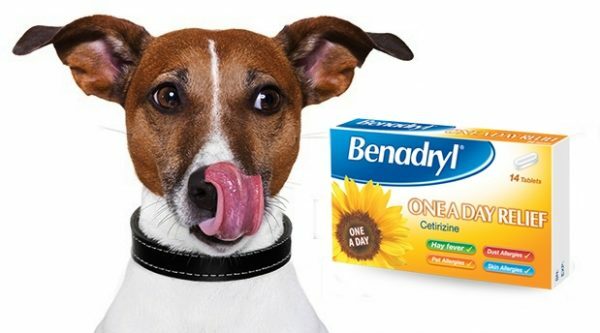 Over the counter medication such as Benadryl is very useful as it aids in reducing the swelling of the wounds. Even though the medicine is safe for animal use. 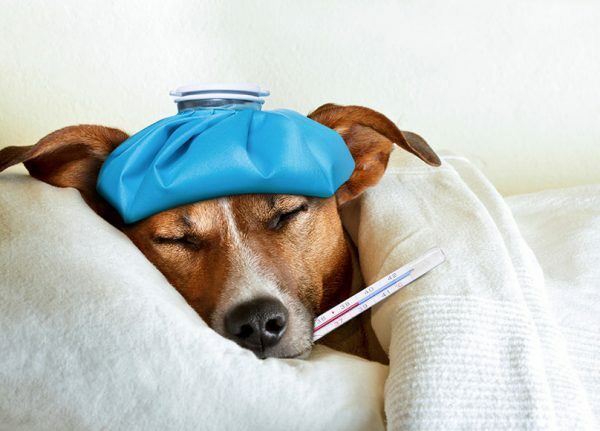 It is very important that you consult with the veterinary to determine the accurate dosage, most vets recommend a Benadryl dosage depending on the dog’s size and weight. 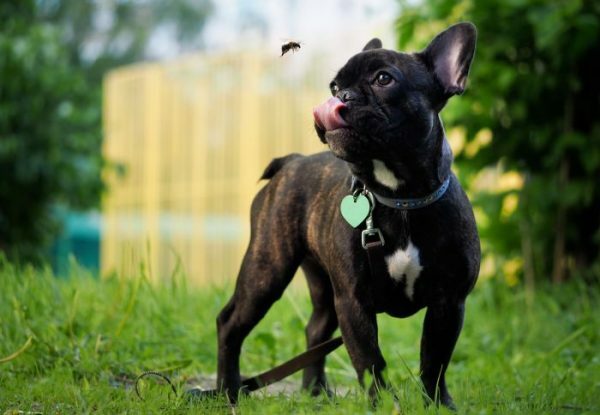 Dogs are allergic to the bee sting same way humans are. Severe and multiple bee stings can cause the dog to go into an anaphylactic state of shock which is life threating if proper medical attention is not performed. Dogs may react differently to bee sting which is pre-determined with the location and number of bee stings. Therefore, it is important that the owner takes precaution after a bee sting and be vigilant of symptoms that cause an allergic reaction. Heavy swelling of the skin beyond the sting surface. General weakness and lack of energy sometimes the dog may collapse. Normally, if the dog starts vomiting within 10 minutes after a bee stung this is an indication that it is going into an anaphylactic shock, therefore, take the dog to a veterinarian immediately. Hyaluronidase which aids in spreading the venom into the local tissue. Phospholipase A which prevents the body from stopping and neutralizing the spread of the venom. It is also responsible for causing pain. In general, anaphylaxis results in a significant drop in the dog’s blood pressure which leads to body reaction resulting in a state of shock. In most case when in an anaphylaxis state the dog’s body attempts to reimburse the drop of pressure with a faster thrusting heart. As a result, the veins are overloaded and collapse. The predator sense of dogs makes them want to exploit the outside garden. Thus it is next to impossible to teach dogs no matter the number of times they are stung by a bee it is difficult for them to stay away from the bees. Usually fruit and flower garden need bees for pollination. The safety of the dogs is left upon the owners to make the garden that is vulnerable of bee less attractive. it is therefore imperative that you reduce the chance the dog may encounter such as dreadful experience. First and foremost, you can barricade the area surrounded by plants that summon bees. This not only prevents bees from hoovering it also restricts the movement of dogs around the garden. Alternatively, renowned gardeners recommend that you can grow jasmine plant whose flowers blossom at night or the plant zinnias which usually draws the attention of butterflies more compared to bees. The I found this article very helpful. the problem i found was if you are out and the dog gets stung, and you don’t have access to any meds, in an emergency you can use milk for bees, and vinegar for wasps, this can buy you time to get to help. and are common sustances to find in an emergency. Bee stings are acid, therefore it needs neutralizing immediately once the sting is removes, douse the area with lots of milk which is an alkaline and will start to neutralize the sting, it will buy some time to get help. If a wasp has stung the dog I have found lots of vinegar on the wound very effective, wasp stings are alkalide and the acid in vinegar neutralizes the sting. Both of these things you can carry with you if you are out with a dog, or get to the nearest cafe or house. My dog swallowed a wasp at a motorway service station. Her throat was swelling up, I rushed into the cafe grabbed a pot of vineger poured it down her throat and the swelling subsided immediately, the dog did not need any other treatment, although I don’t what people thought who saw me pouring vinegar down my lovely labradors throat.